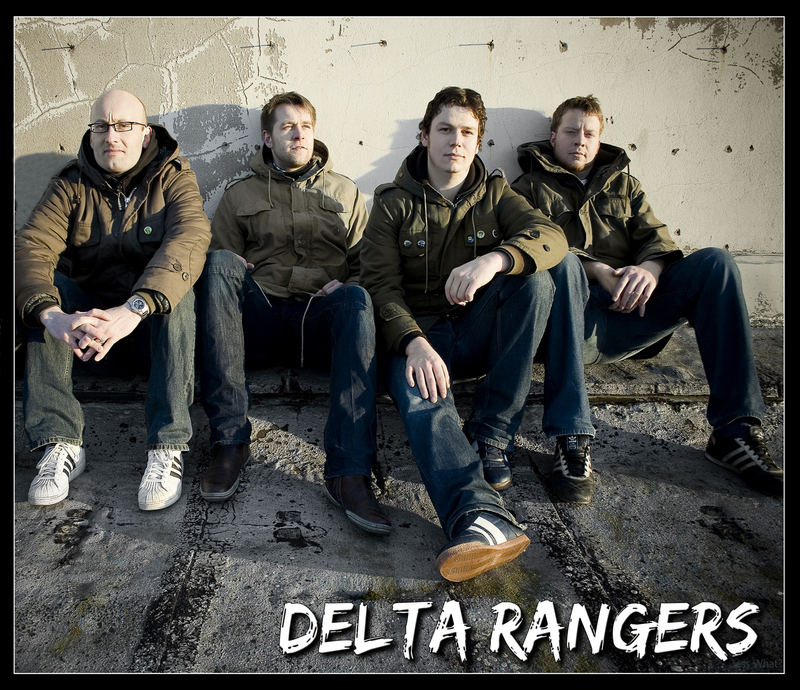 The Delta Rangers is a 5-piece melodic brit-rock band from Germany, formed in 2005. Slobbe (keys, voc), Björn Kuchinke (dr) and David Brandau (git). The Delta Rangers play indierock´n´roll: We got the energy to make you wanna move your limbs and the melody to sing along with us. We love to play small smelly clubs, directly interacting with our audience, entraining and entertaining our growing fan base. Local press already labels us as „stage animals“, pulling focus being the charismatic way to push the passion for music itself way over the edge of the stage right into the crowd. We want to have more possiblities to play and better chances to lift up our music onto a higher level, that's why we are looking for a label and management to promote us. We are not looking for becoming even more popular around Ilmenau but for leaving the small villages behind us. Do you want to become a partner to trust in and who has trust? So far they played lots of gigs all around Germany, starting with self initiated visits to clubs in the student community leading to invitations to clubs in every corner of the country. Winning different contests like eastern germanys biggest contest "New Chance Band Contest" in Halle or the "Campusfest Contest" in Erfurt gave the Delta Rangers the possibility to play big venues and influential festivals like the Himmelblau Festival or the IlmOpen Festival on their home turf Ilmenauor the BeFit Festival and the Campusfest open-air in Erfurt with different Major-Label Bands. Most of their concerts were (video-) taped, what led to DVDs of their gigs and helped produce band logos and web-pages. More promotional actions include a close documentation of radio and newspaper interviews,e.g Visions Magazin, via video blogs. In 2007 they produced an eight-song demo-CD, called "Toilet Entertainment" all by their selfs. This all shows that they broad approach to their career by not only being a band, making music but constituing the medial entertainer. "Snotty, loud, arrogant and with loads of overwhelming punk and rock guitars is how Steffen, Chris, Armin, Björn & Ben have come to make a name for themselves among thuringian students. Now it's time to take their intruiging english lyrics to the next level – as in the next bigger stage…Clap your hands and say yeah! THE DELTA RANGERS Steffen, Chris, Armin, Björn & Ben are pure rock'n'roll. The newcomers from Ilmenau, Germany have found an impressive fanbase in the south-east german student community after playing together for only a year and a half. Trying to be something “special” is how they found their niche - english songwriting, down-to-earth shout-along-melodies, a bit of punk, a bit of arrogance and truck-loads of enthusiasm and commitment in times of TV-casted rock-star look-alike contests." 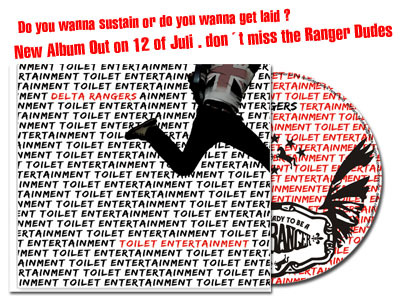 ""Toilet entertainment" heißt das erste Album der Ilmenauer Delta Rangers. Dabei ist es alles andere als für'n Arsch. Klein und kompakt kommt es mit acht Titeln daher, die von der ersten Sekunde an rocken. Zwischendurch schrauben die fünf Jungs das Tempo ein wenig runter, verlieren aber keinen Funken Energie. Stimmlich findet sich die Kombo irgendwo zwischen The Cure und Maximo Park wieder. Entsprechend britisch klingt der Sound. Eingehend melodisch, laut und schwer gitarrenlastig. Die Texte sind allesamt selbst geschrieben und die CD selbst produziert, an Talent mangelt es den Delta Rangers nicht. Das stellen sie auch immer wieder bei Talent-Wettbewerben unter Beweis. Beim Thüringen Grammy 2008 haben sie den dritten Platz belegt, im Jahr zuvor gingen sie als strahlende Sieger von der Bühne des Bandcampuscontests und des New Chance Bandcontests, dem größten Wettbewerb dieser Art in Mitteldeutschland. Ihr Können kommt nicht von ungefähr. Jeder der fünf Musiker hat bereits Erfahrungen in Bands verschiedener Stilrichtungen gesammelt. Die Fachkenntnisse aus ihrem Studium an der TU Ilmenau im Fach Medientechnologie sind auch nicht zu verachten. Noch fehlt ihnen der passende Plattenvertrag zum Glück, aber bei so viel Talent dürfte der auch bald ins Haus flattern." Ihre Band bezeichnen die vier jungen Männer aus dem Thüringer Wald als puren Rock 'n' Roll. 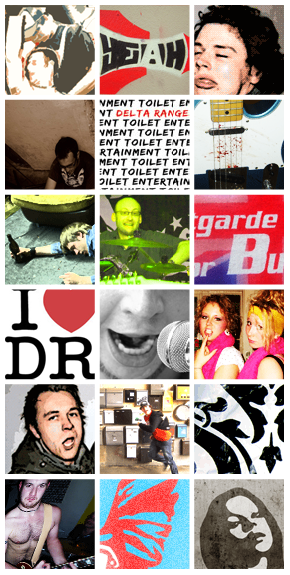 So ist es jedenfalls auf der MySpace-Seite der Delta Rangers nachzulesen. Nichts neues, doch ihre kraftvollen, mit einem guten Melodiegefühl geschmückten Songs halten sich nicht zurück mit Background-Shouts und laden so zum mitschreien ein. Eine Prise Punkrock darf man der Band, die sich erst vor etwa anderthalb Jahren gründete, also auch getrost zuschreiben. In der Folgezeit veröffentlichten sie in Eigenvertrieb ein Acht-Track-Album namens "Toilet Entertainment". Diesen Winter soll es laut Band "mit einem Sack voller Riffs und Singalong-Melodien" wieder ins Studio gehen. Wir sind gespannt. Rank 3 of the german "Coca Cola X-mas Band Contest"
8 Track album "Toilet Entertainment"